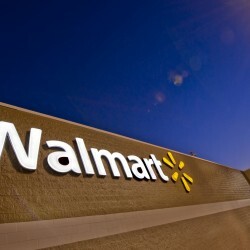 Wal-Mart Stores, Inc., (NYSE: WMT), is an American multinational retail corporation that operates a chain of discount department stores and warehouse stores. Headquartered in Bentonville, Arkansas, the company was founded by Sam Walton in 1962 and incorporated on October 31, 1969. It has almost 11,700 stores in 27 countries, under a total 71 banners. 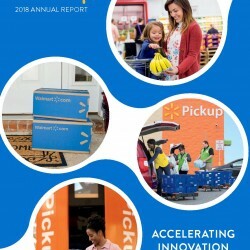 Walmart is the world’s largest company by revenue, according to the Fortune Global 500 list in 2014, as well as the biggest private employer in the world with 2.2 million employees. Walmart is a family-owned business, as the company is controlled by the Walton family, who own over 50 percent of Walmart through their holding company, Walton Enterprises. It is also one of the world’s most valuable companies by market value, and is also the largest grocery retailer in the U.S. In 2009, it generated 51 percent of its US$258 billion (equivalent to $284 billion in 2015) sales in the U.S. from its grocery business. The company was listed on the New York Stock Exchange in 1972. In the late 1980s and early 1990s, the company rose from a regional to a national giant. By 1988, Walmart was the most profitable retailer in the U.S. and by October 1989, it had become the largest in terms of revenue. Geographically limited to the South and lower Midwest up to the mid 1980s, by the early 1990s the company’s presence spanned from coast to coast – Sam’s Club opened in New Jersey in November 1989 and the first California outlet opened in Lancaster in July 1990. A Walmart in York, Pennsylvania opened in October 1990, bringing the main store to the Northeast.